Went to Seattle to visit my parents for Thanksgiving, made cookies, muffins, 3 different kinds of breads, with no evidence since I forgot to bring my camera. Oh well, they tasted good though! Came home on Sunday and need some bread for this week's lunch, but my starters are sound asleep in the fridge. Made this quick 40% rye from Dan Lepard's "A handmade loaf" using dry yeast. 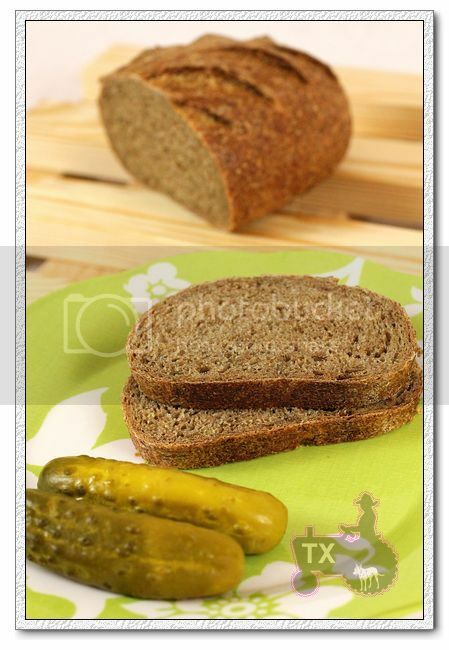 The liquid in the formula is dill pickle juice, boosted by some extra fresh dill, the loaf was very flavorful. 3. bulk rise for 2 hours, s&F at 30, 60, 90min. It's a compact loaf, some discussion on Dan's forum seems to show the same result, but the oven spring was good, as shown by the scoring marks and nice "ears"
The book has a mistake in the amount of fresh yeast used - it should be 1.5%, rather than 1%, which means 7.5g fresh yeast, about 3g of instant yeast. 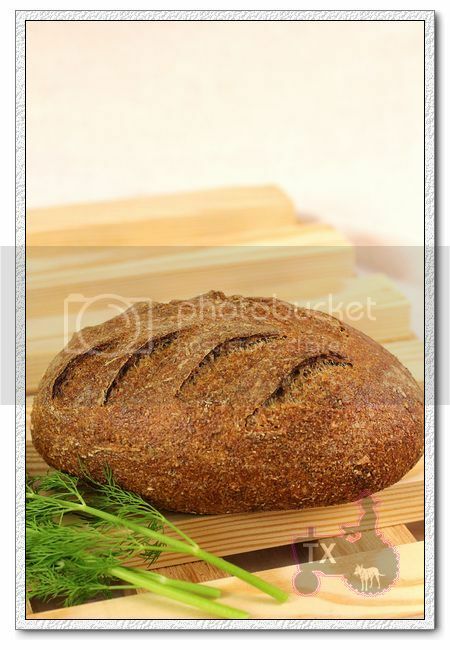 However I wonder whether even more should be used, since the rise was slow and the breads are pretty small. 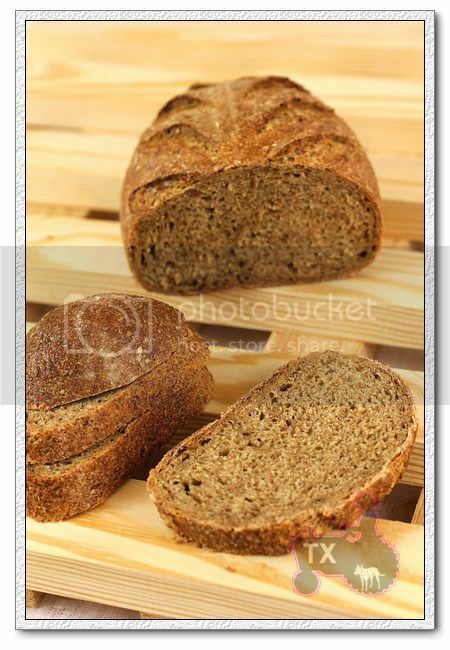 Following the book's advice, I made a rye flour glaze (2.5tbsp of rye mixed with 150g of water, heat until boiled while mixing continuously, brush the loaf with this paste 15 mins before the end of bake), It does make the loaf extra smooth and shiny, but the crust became a bit too chewy for my taste. delicious bread. Very brown color like chocolate cake. I made sandwiches with roasted beef, mustard, and some more pickles, very nice! 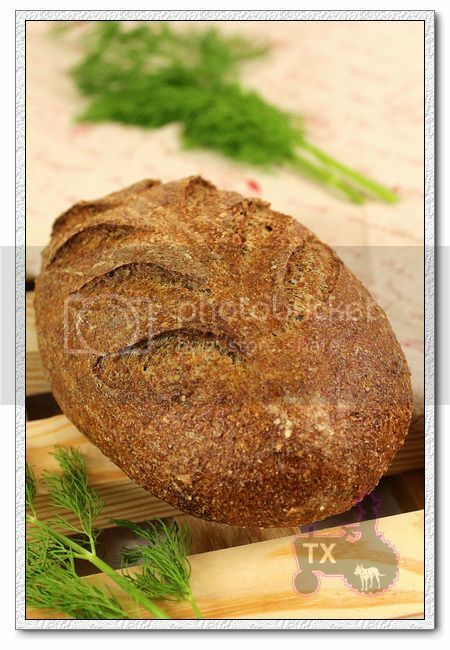 Beautiful loaf txfarmer. I have looked at that recipe and even saved some pickle juice to make the dough but I didn't like the juice. There is such a wide variety of flavors of dill pickles. We usually get kosher or garlic dills. What did you use here? I used kosher dill pickles since that's what's in the fridge, the flavor mellows out quite a bit in the dough. Great addition! I used pickle juice in a batch of marble rye a few weeks ago. Just the leftover juice from a jar of supermarket pickles, Vlasic or whatever. It definitely had garlic in it. 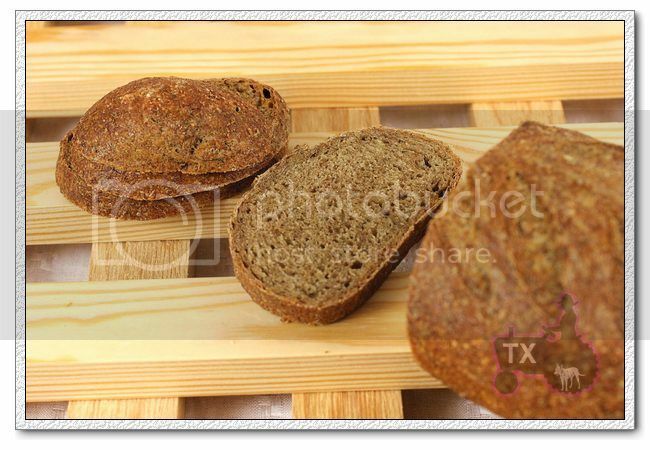 It was probably the best-tasting rye bread I've ever had. It was so savory, really wonderful. You got a far better result than the one time I tried this. I created a small stone as I recall. I think you have to be really careful what pickle juice you use, and consider how salty it is, I think the one I used was very salty and hence got virtually no rise at all, it either slowed or killed the yeast ? I'm encouraged by this post to try again one day.